The picture is a screenshot of the 'My social networks' folder on my iPhone. 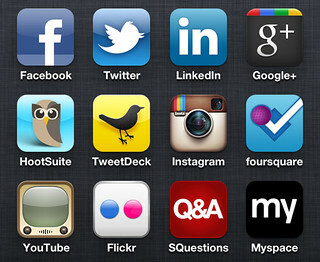 This picture was used for the blog post 'How I use my social networks'. (CC) Gavin Llewellyn. www.onetoomanymornings.co.uk. Feel free to use this picture. Please link back to the original picture on Flickr and credit as shown above.